Kids These Days: Human Capital and the Making of Millennials is a 2017 work by the American writer and self-proclaimed millennial Malcolm Harris. It surveys the transmutation of class politics into generational politics in an American context and with specific reference to the millennial generation, a much-maligned cohort of individuals born during the 1980s and 90s. 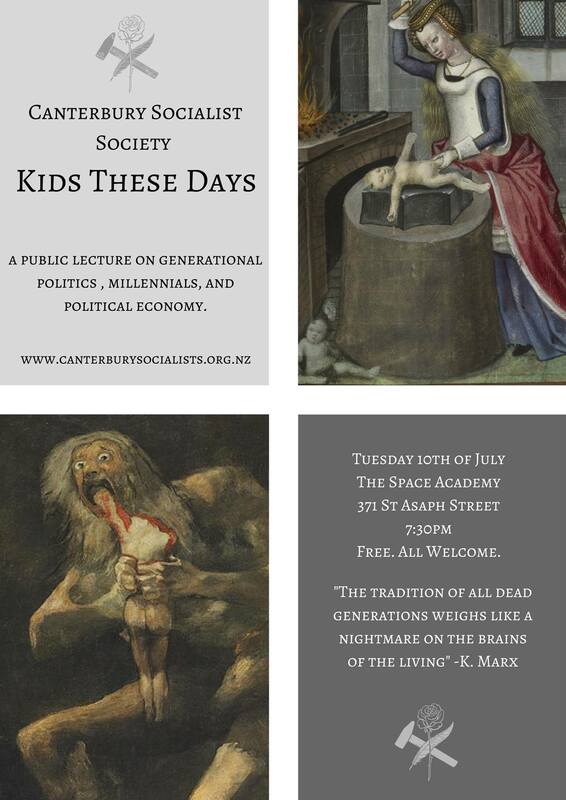 Sionainn Byrnes (also a millennial) will present an account of Harris’ work and discuss the figuration of generational politics under capitalism and in relation to issues of debt, education, housing, and work in contemporary New Zealand. Sionainn’s presentation will be followed by an open discussion about demographic generations and the obfuscation of capital and class politics.